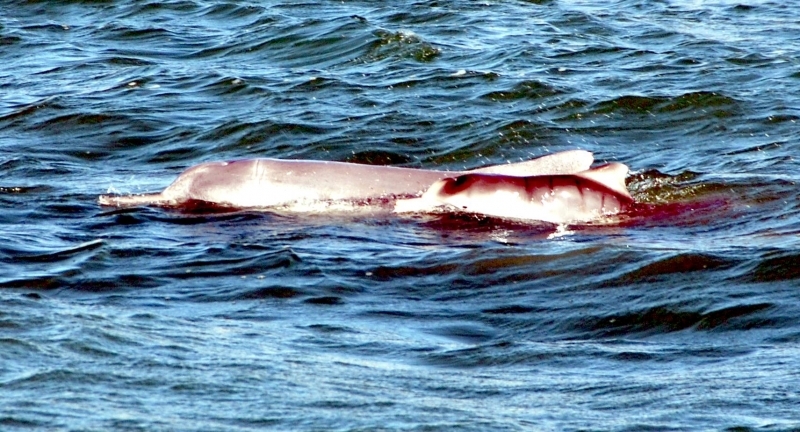 Atlantic Humpback Dolphins measure a maximum of 2.5 meters in length and weigh about 150 kilograms. 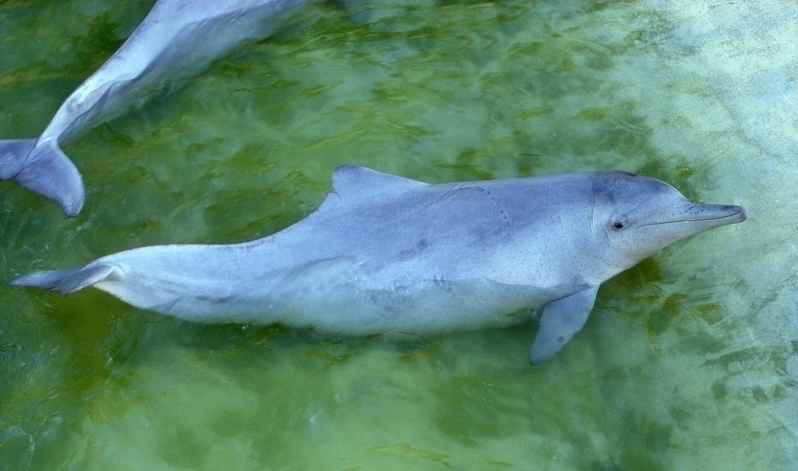 They are slate gray to pale gray in color on their dorsal (upper) side with some speckled markings and lighter coloring on their ventral (under) side. 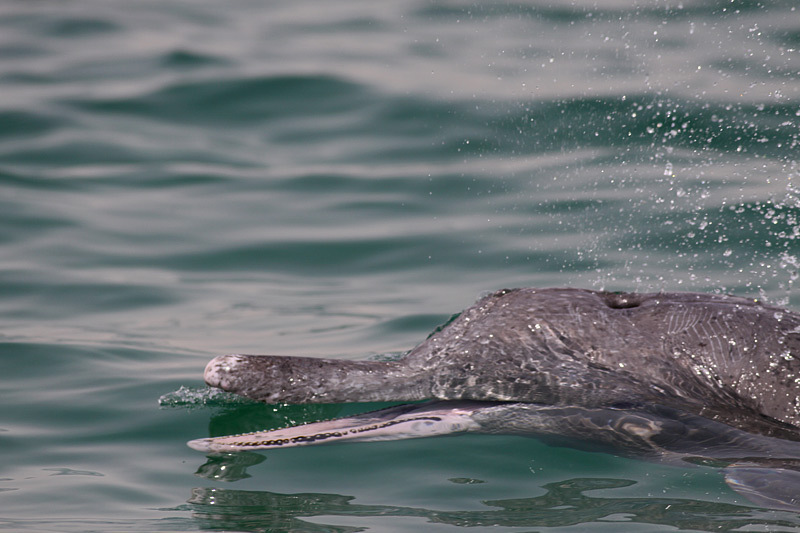 They have long beaks, large melons (heads) and well-rounded flippers. 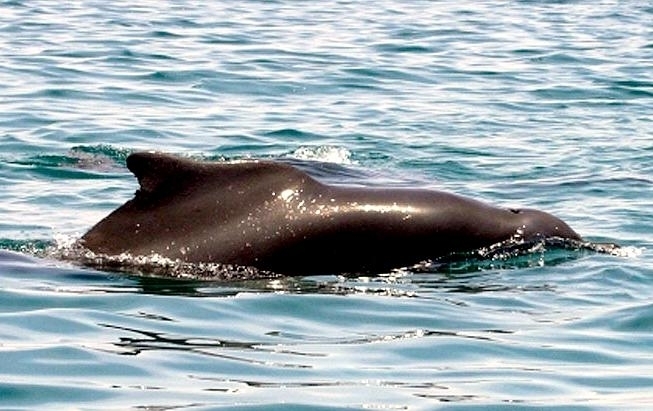 Their common name comes from the shape of their unique dorsal fin, which measures about 15 centimeters high and curves to form a distinct hump. 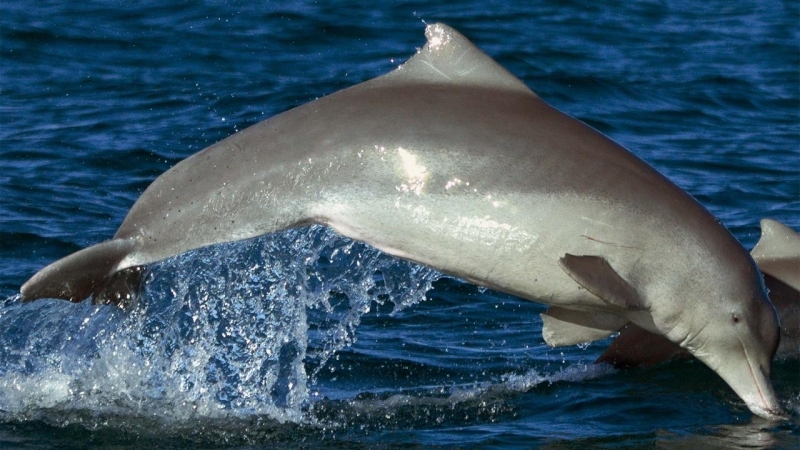 Their pectoral fins measure about 30 centimeters in length and their flukes (tails) are about 45 centimeters wide. 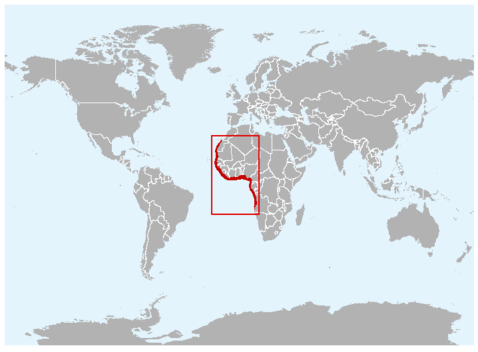 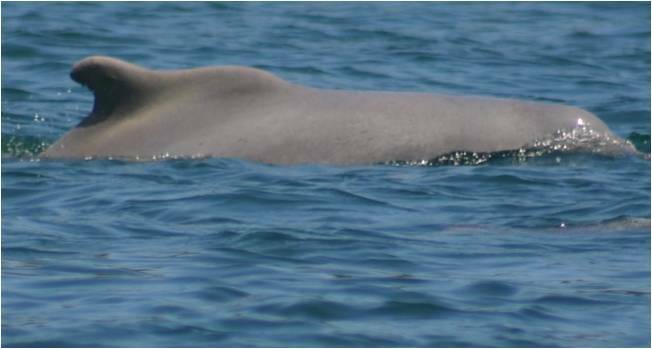 Because of their geographic location in Africa near areas of civil strife, Atlantic Humpback Dolphins have not been widely studied. 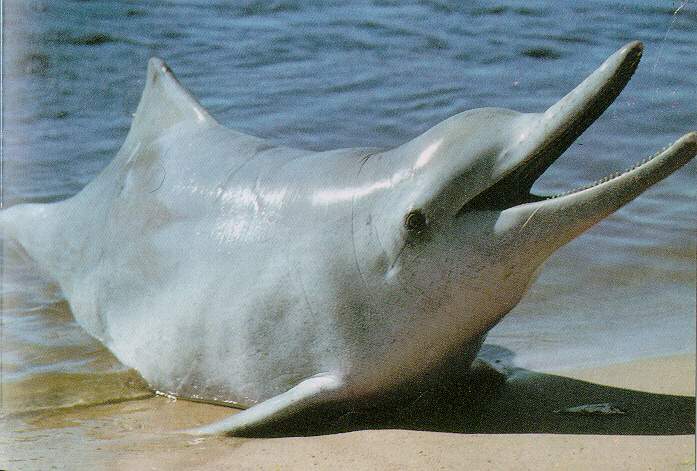 Atlantic Humpback Dolphins have 26-31 pairs of homodont (all teeth are the same), peg-like teeth in each jaw. 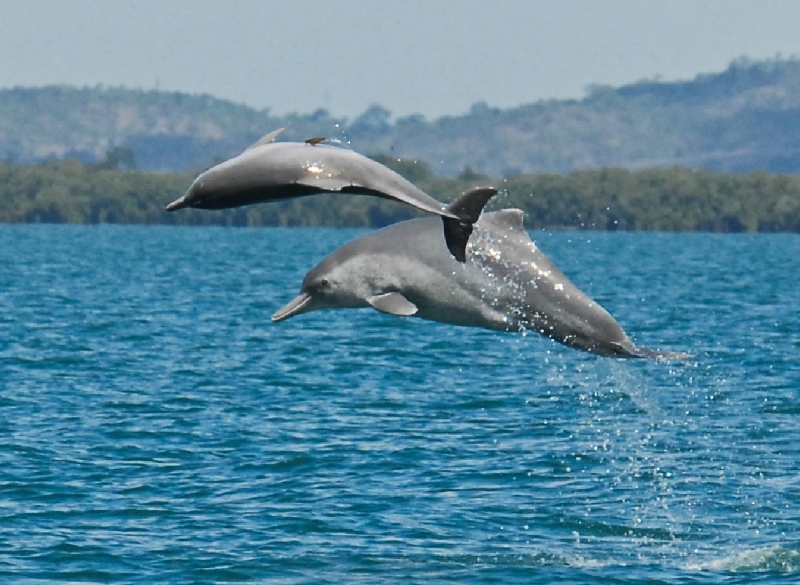 Their differences in tooth count and vertebrae, along with geographical location, are the major distinguishing characteristics between the species and the closely related Indo-Pacific Humpback Dolphins. 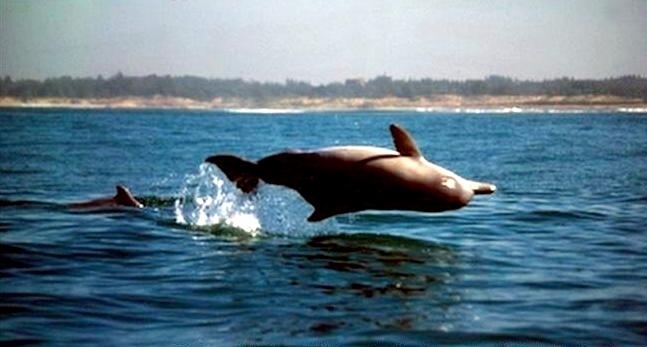 They are known to swim more slowly than other species in the Delphinidae family. 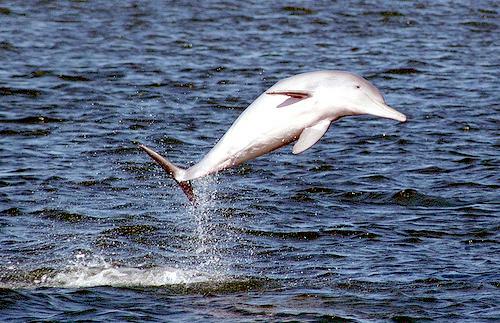 They dive for periods up to 3 minutes and are known to jump out of the water. 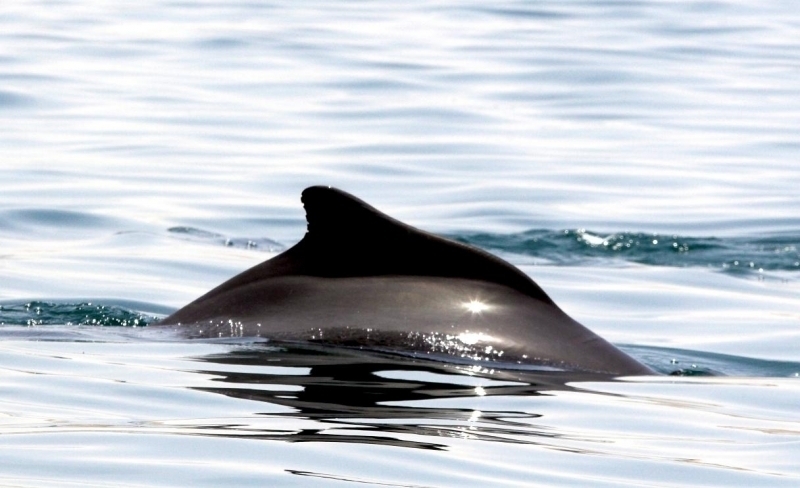 Other characteristics common to Delphinidae include their high brain-to-body mass ratio, which is higher than that of other mammals and thought to be an indication of intelligence. 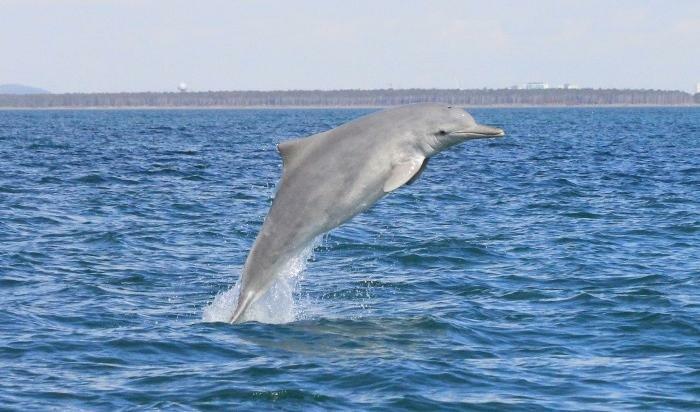 Like other dolphins, they are equipped with echolocation to locate prey and communicate. 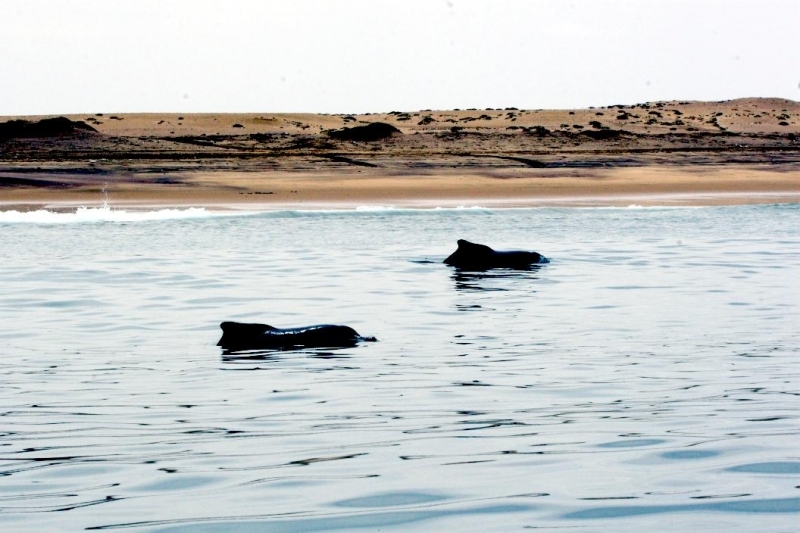 Off the coast of Mauritania, this species has established an equitable partnership with local fishermen. 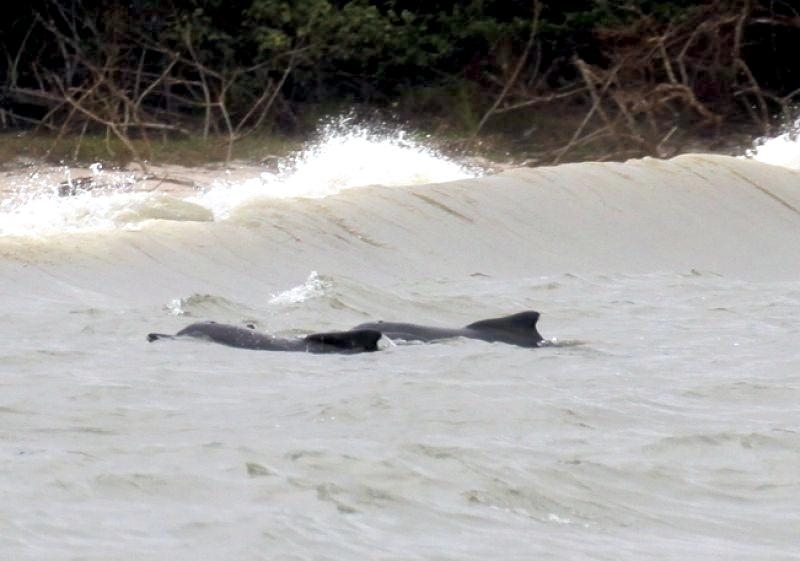 Atlantic Humpback Dolphins herd schooling fish closer to the shore when signaled by fishermen, this then allows the fishermen to net the fish and the dolphins to feed freely. 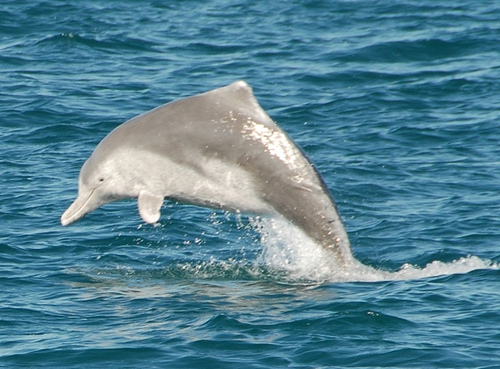 Atlantic Humpback Dolphins are found off the coast of west Africa from Mauritania to Angola. 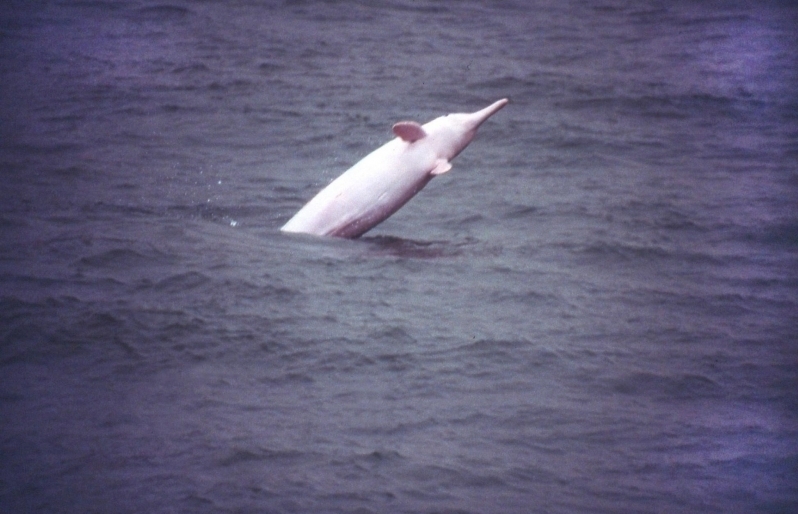 This species prefers shallow coastal waters, river channels and estuaries. 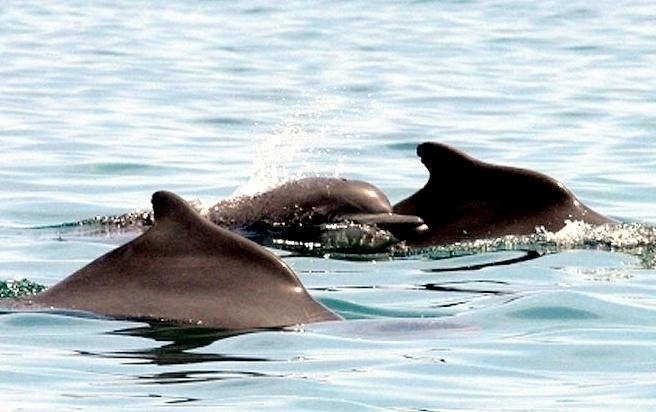 This is a somewhat solitary species which have been observed traveling and feeding alone, however small pods of 3-7 and larger pods of 20-25 have also been reported, generally these pods consist of younger dolphins. 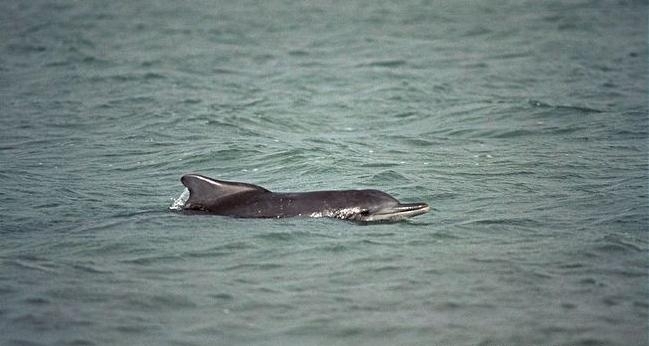 It is thought that Atlantic Humpback Dolphins stay near the shore to avoid predation by Killer Whales that use echolocation to find the dolphins and being close to land makes that difficult. 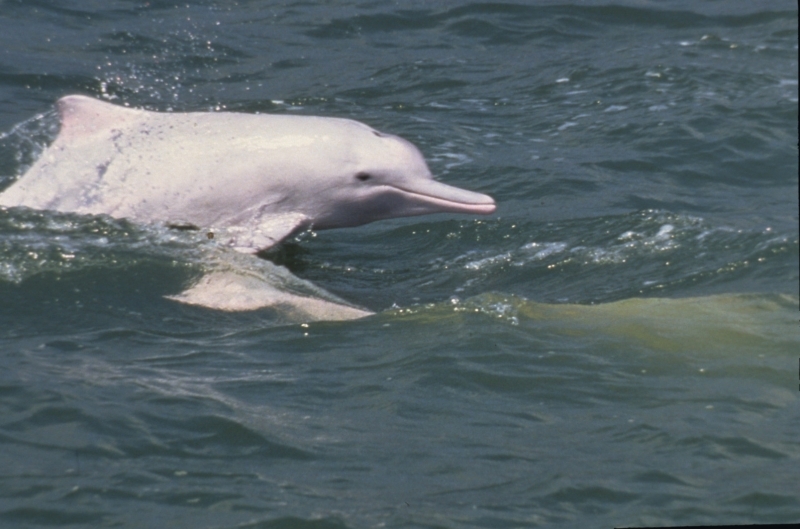 Atlantic Humpback Dolphins feed on schooling fish such as herrings, sea breams, sardines and mullet. 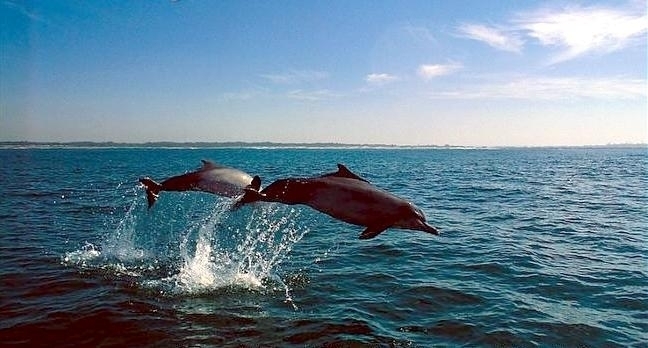 When feeding in groups, they herd their prey close to land, making it harder for them to escape. 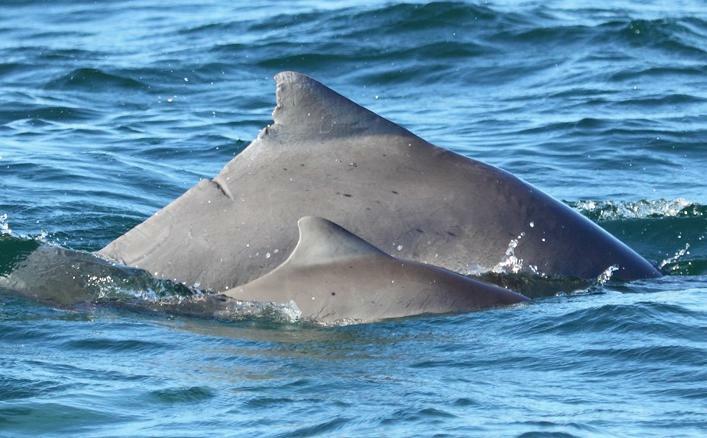 The reproductive patterns of the Atlantic Humpback Dolphin are not well-known at this time. 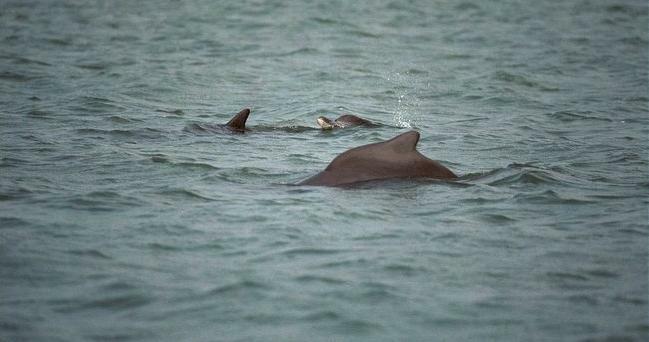 Calving has been recorded from December through February but may also occur year-round. 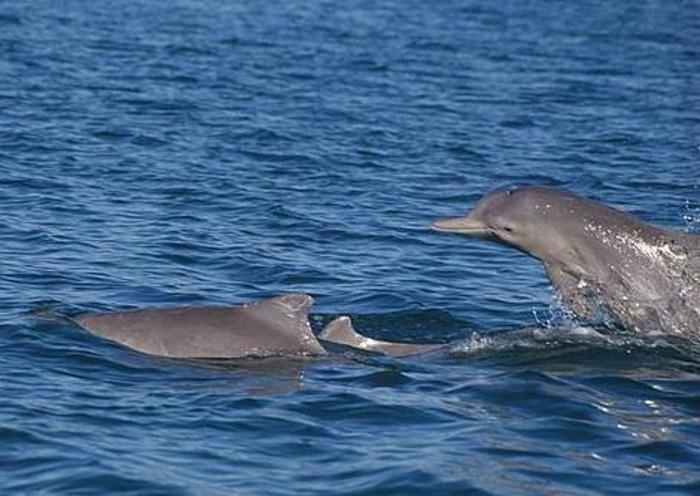 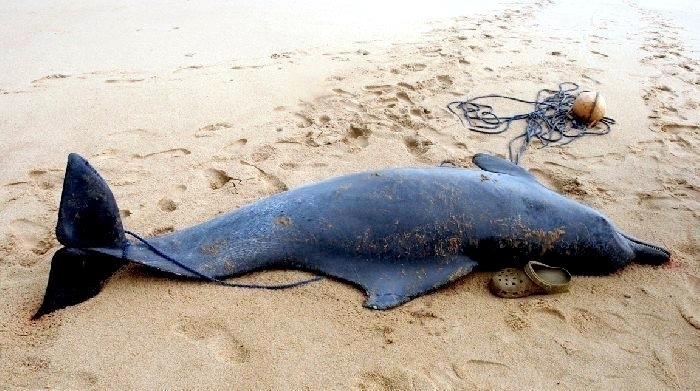 Like other dolphin species, Atlantic Humpback Dolphins are at-risk of being caught in fishing gear and their proximity to the shoreline causes them to get caught in “anti-shark” nets set up to protect beach-goers. 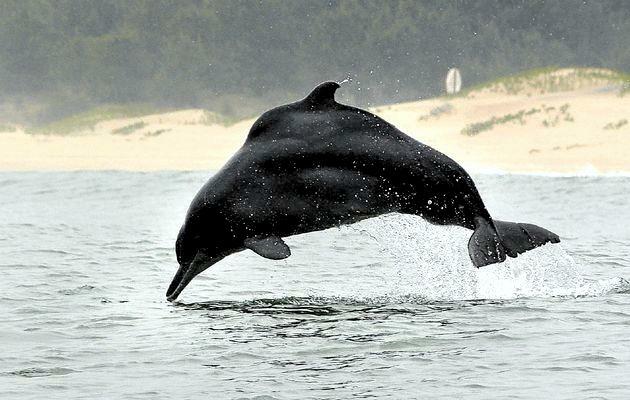 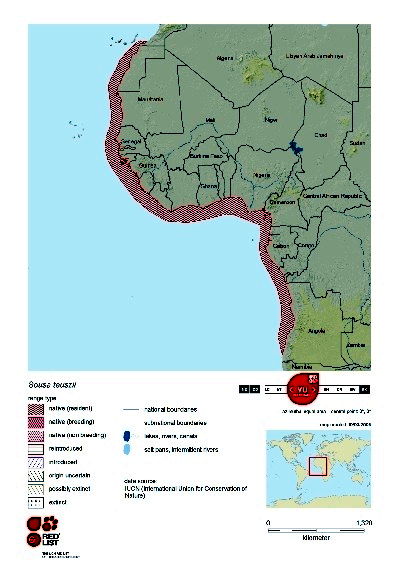 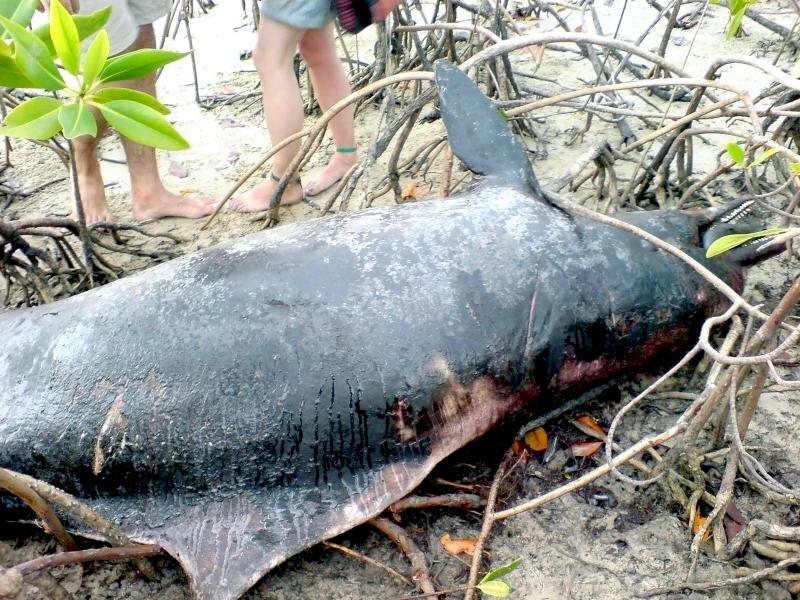 Coastal development is also reducing the habitat of this species causing decreases in their populations.